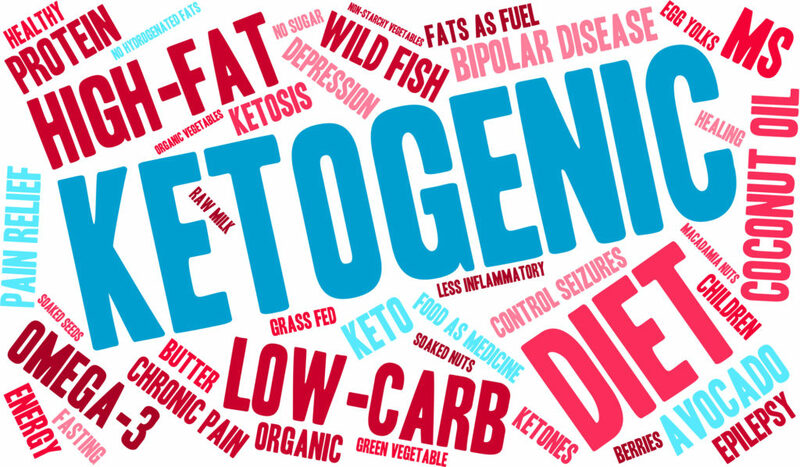 This will be the first post in a series of posts about the ketogenic diet. We hope you enjoy! The ketogenic diet has been around for quite some time now, one could argue as early as 400 BC when the physicians of ancient Greece noticed that epilepsy could be treated by altering diet and by fasting. Over recent years, it has become increasingly popular due to its health benefits (from treating epilepsy to starving cancer), thus prompting scientists to study it more in depth. There are three main macronutrients that each of our cells utilize for energy: 1) sugar (a.k.a. glucose), which comes from the breakdown of carbohydrates, 2) amino acids, which come from the breakdown of protein, and 3) ketones, which come from the breakdown of fat. Our cells are metabolically flexible, which means that they can use any of these three compounds for energy at any time, depending on their availability (which turns out to be an incredibly useful feature, but we’ll save this for another post). Normally, our cells primarily utilize glucose and fat for energy, while amino acids are used as building blocks to make other vital things like enzymes and muscle protein. When we consume a diet with large amounts of carbohydrates (like the Standard American Diet), we end up becoming heavily reliant on burning carbohydrates for energy. As we’re now discovering, this is not so good. Consumption of large amounts of carbohydrates leads to elevated blood sugar levels and thus elevated levels of insulin (insulin helps bring glucose into cells so that it may be used for energy). If we consistently consume large amounts of carbohydrates over time, chronic insulin release can make us become insulin resistant (resistant to the action of insulin). Not only that, but chronic insulin signaling (i.e. the effects that insulin has on other cellular processes) can result in the expression of oncogenes and thus the increased risk of cancer development. However, when we consume a diet that is low in carbohydrates, high in healthy fats, and moderate in protein, our body is forced to burn fat for energy. When fat is burned, ketones are produced. Ketones are miracle molecules. Our cells can use them for energy in a much more efficient manner than glucose (for the science fans, ketones are directly imported into the mitochondria and used for energy, and don’t need to go through the Krebs cycle preparation process like glucose does). In a sense, we get more bang for our buck when using ketones instead of glucose, in terms of energy. Eating low carb and high fat is not the only way to produces ketones, however. Anytime we fast, we actually trigger the production of ketones, since in a fasted state our blood levels of glucose are low which triggers the body to mobilize stored fat for energy. This is the process that keeps us alive in times of starvation. This is also why we stated above that the ketogenic diet mimics fasting. There are a plethora of health benefits of ketones and thus a ketogenic diet. Research has shown that ketones can suppress oncogenes, decrease inflammation, promote healthy cell metabolism & cell signaling, promote healthy body weight and physiology, improve good cholesterol and other cardiovascular markers, and enhance cognitive ability. The famous Hollywood producer Jim Abrahams successfully treated his son who had severe epilepsy with a ketogenic diet and started a foundation about ketogenic diet therapies as a result of this. The ketogenic diet has also been shown to reverse cancerous tumors (see Dr. Dominic D’Agostino’s website for a plethora of resources and references). In conclusion, the ketogenic diet is a very healthy diet with many benefits. It is also a very promising therapeutic regime for certain diseases and health conditions. Here at HealthSnap, we actually follow a ketogenic diet (we cycle between Paleo diets and Ketogenic diets, and have been doing so for the past 5 years or so). What about the fat? I’ve always heard fat was bad for me? An excellent review article highlights that there is no link between saturated fat and heart disease. A talk by Dr. Peter Attia – “The Straight Dope on Cholesterol”. Gary Taubes on “Why We Get Fat”. Gary Taubes on “Fat & Sugar”. Interested in learning more about the ketogenic diet? Go VIP (it’s free!) and receive exclusive content from the HealthSnap team about the ketogenic diet, nutrition, and health & fitness in general. ⟵Diving Into Cancer Metabolism: Is It Possible To Starve Cancer?